Owning a home can be an incredibly rewarding experience that can provide you with a sanctuary from the outside world, not to mention a great piece of equity to hold for the future. That doesn’t mean that it’s always a particularly easy or pleasant experience, of course. Sometimes we find ourselves in a position where the only option is to make repairs to the home in order to ensure its safety and value do not diminish – and while this isn’t the most “fun” use of funds, it is certainly one of the most productive uses. Why is a foundation important? In almost every aspect of life, having a solid foundation is important. This is true when it comes to education, to your career, and even to raising a family and building strong relationships. A strong foundation can prove invaluable throughout our lives – and there is no exception to that rule when it comes to our homes. 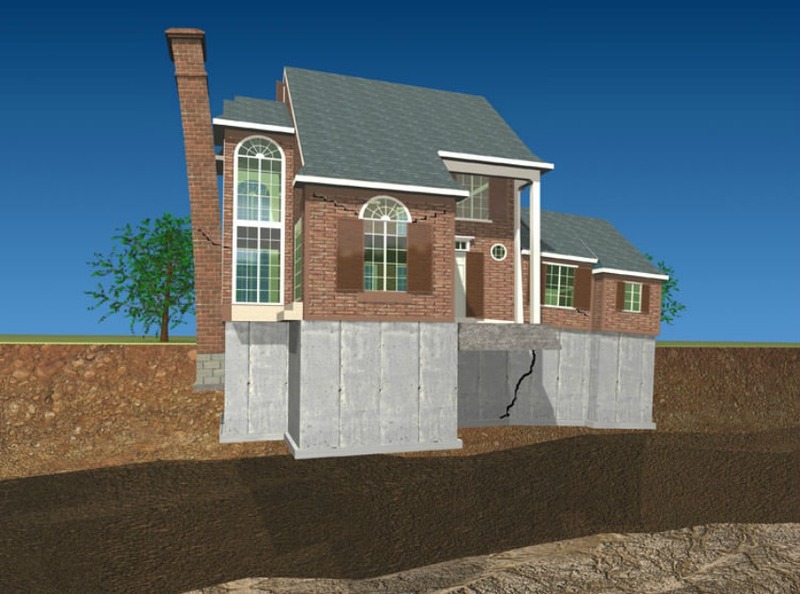 A home foundation is vitally important to the structural integrity of your home. The ability to live in a home safety, in other words, is highly dependent upon the foundation and what kind of shape it is in. If the foundation is crumbling and is unable to support a lot of weight, then the building itself might begin to sag or even break in certain areas. Eventually, it will become too dangerous to live in a building with a failing foundation and the damage must be repaired. Luckily, however, there are certain options from which to choose if you end up with a home that needs its foundation repaired. How can I repair my home’s foundation? When the time comes to repair your home’s foundation – and it is recommend to do so as quickly as possible once the issues become evident, as waiting will only increase the amount of damage to repair – reach out to a team of professionals! At Aquatech Waterproofing, we understand just how important a strong foundation is for the safety of your home. With that in mind, we are dedicated to working with our customers to find a basement foundation repair option that is effective and affordable. Contact us today for more information about our basement foundation repair services! Give us a call at 416-300-2191 and let our experienced staff help answer your questions. As is the case in so many other aspects of life, a strong foundation is vital to the health and structural integrity of a home. Indeed, the foundation of a home is responsible for maintaining the safety of the building in general. With a solid foundation that is in good condition, there should be no worries about the building breaking down due to a structural fault. When a home’s foundation is damaged and weak, on the other hand, it is extremely possible and likely that further damage to the building are imminent. At Aquatech Waterproofing, we believe that you deserve a home with a strong foundation that will keep your family safe. That is why we are so proud to offer our clients a variety of basement foundation repair services to help make their lives a little bit easier! If you live in a home that needs its foundation repaired, it might be a little difficult to wrap your mind around exactly what the repair process will look like. After all, it’s not as though the team can simply move the top of your house to the side while they fix the foundation, right? Luckily enough, there are better ways to go about the foundation repair process. One of the most common is the basement foundation repair option. With this method, a home’s foundation is accessed through the basement so that the necessary repairs can be made. During the foundation repair process, the damage to your foundation will be carefully inspected in order to determine both the cause and the best course of action. Once this has been completed, the repairs will begin. Things like cracks will be fixed and the structural integrity of the foundation will be rebuilt. It is common for some waterproofing elements to take place during the process in order to avoid further problems. Are you curious about the basement foundation repair process? If so, you should reach out to Aquatech Waterproofing! We have the knowledge and experience needed to help repair almost any foundation. Contact us today for more information about our basement waterproofing services! Give us a call at 416-300-2191 and let our experienced staff help answer your questions.